Richard Montague practices in the area of litigation, focusing on bankruptcy and creditors rights and business litigation. He represents debtors, creditors and trustees in bankruptcy matters, including disputes in valuations, adequate protection, lift stay rights, reorganization plan confirmations, non-dischargeability claims, bad faith filings, assumptions of lease and executory contract questions. 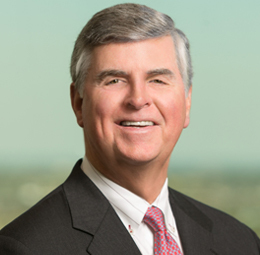 Mr. Montague also concentrates his practice on business and real estate litigation, including business torts, breach of contract, shareholder disputes and other commercial issues. Mr. Montague frequently lectures on topics regarding commercial litigation, loan workouts, foreclosure, bankruptcy and ethics for continuing legal education programs. He has also lectured for students at the LSU Graduate School of Banking, the Mississippi Bar Review Course, and at programs sponsored by Mississippi College School of Law and the University of Mississippi School of Law. He is certified in Business Bankruptcy Law by the American Board of Certification.